ASMR videos have been all the rage online for a while now. Centering on seemingly everyday experiences to create positive sensations throughout the body for the user, ASMR videos may be exactly what you need for a midday pick-me-up. This particular video that viewers are loving does more than just perk you up in the middle of a long workday — it works to electrify all of your senses. 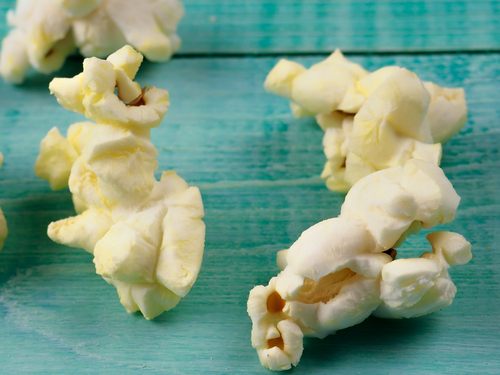 Who would expect that from a video of popcorn popping… in slow motion? These kinds kinds of slo-mo videos aren’t a new phenomenon amongst viewers, but they make for quite a fascinating look into mundane parts of our daily lives. Slowing it down, viewers are able to see exactly what happens to popcorn as it pops at 30,000 frames per second. That’s a lot of popping to witness. The video is courtesy of YouTube users Warped Perceptions. Take a look for yourself and be mesmerized!